Join us as we learn how building connections can contribute to your success. With the Chicago Sports Museum’s exhibits providing an interactive backdrop, this is a perfect event to discover how considering additional perspectives — like those of your emerging leaders — can help your business succeed and grow. 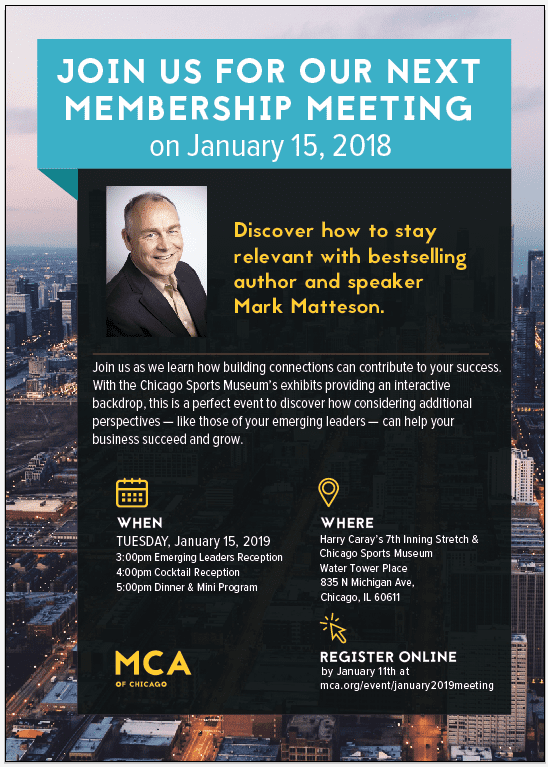 Plus, discover how to stay relevant with bestselling author and speaker Mark Matteson. Business casual attire is appreciated.